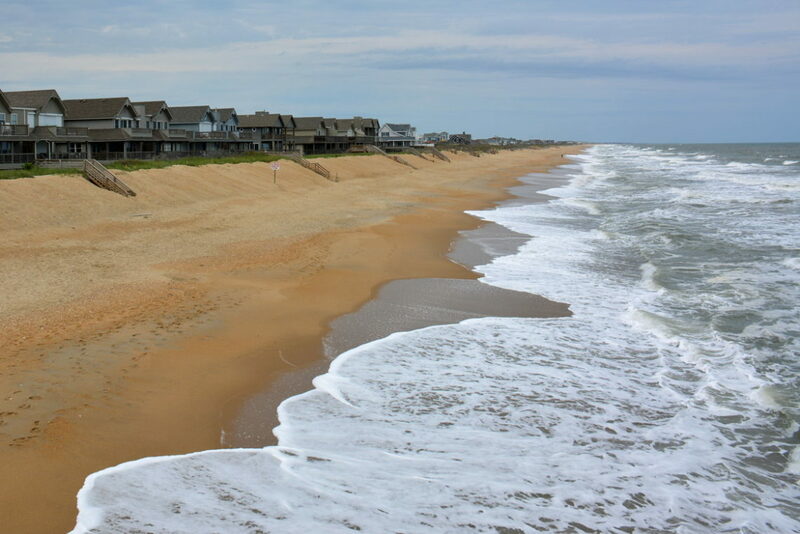 The town of Kill Devil Hills has its own unique set of rules and regulations for accessing its public shoreline. Pets - Dogs are not permitted on the beach in Kill Devil Hills from May 15th until September 15th, between the hours of 9:00 a.m. and 6:00 p.m. At all other times, dogs on the beach must always be leashed and under control of the dog owner. Fires - Bonfires are not allowed on the beach, dune line, or any surrounding neighborhoods in Kill Devil Hills. Special permits may be available for civic or community groups. Contact the fire department at 252-480-4060 for more information. Camping - Camping is not allowed anywhere on the Kill Devil Hills beaches or dune lines. There are a number of campgrounds and RV parks in the area for camping visitors. 4x4 regulations - 4WD driving is permitted in Kill Devil Hills in the off-season, typically from October 1st until April 30th. The speed limit on the beach is 25 mph unless otherwise posted, and some areas of the shoreline may be unexpectedly closed due to erosion, high tides, or other natural factors. Fishing - Surf fishing is allowed on the Kill Devil Hills beaches provided that anglers over 16 have a valid North Carolina saltwater fishing license. Licenses are administered by the the North Carolina Wildlife Resources Commissions and be purchased online at http://www.ncwildlife.org/, or purchased at local tackle stores, the Walmart in Kitty Hawk, or the Kill Devil Hills Kmart. Fireworks - North Carolina prohibits the possession of any launching or propelling pyrotechnics which explode or make noise, and fireworks are illegal on all Dare County beaches, including Kill Devil Hills. Glass bottles - Glass bottles are not allowed on any of the beaches within the town of Kill Devil Hills. Lifeguards - Kill Devil Hills has a number of lifeguarded stations as well as four roving patrols in the summer season, which is typically from Memorial Day through Labor Day weekend. There is also a main Ocean Rescue Division office, which is located at the Ocean Bay Boulevard Regional Access building at 103 S. Virginia Dare Trail. The Town of Kill Devil Hills Ocean Rescue Fixed Lifeguard Stands include the following locales. Please note that these locations may vary by year. Surfing - Surfing is celebrated in Kill Devil Hills, although surfers will want to stay at least 50 yards away from the Avalon Pier to avoid injury or encounters with fishing lines. Surfers should also avoid the waves if red flags are posted along the beach, which indicate treacherous surfing conditions. Beach Access - Kill Devil Hills has a number of public beach accesses with parking areas, and visitors are asked to use the boardwalks and established sand paths to access the shoreline. Do not walk along the dunes, or pick sea oats or other dune vegetation, in order to protect the dune line from erosion. Beach Wheelchairs - Beach wheelchairs are available for visitors on a first-come, first-served basis and can be used within the town limits only. Wheelchairs must be rented in person at the Kill Devil Hills Fire Department besides the Dare Centre, at 1634 North Croatan Highway. Weddings - A permit is not required to get married on the beach in Kill Devil Hills, however couples are encouraged to contact the local police department of their wedding date and time in case of potential parking issues. Also, tents over a certain size require a permit by North Carolina law. For questions on tents, contact the Kill Devil Hills fire marshal at 252-480-4060. Fuji Japanese Steakhouse and Sushi Bar serves up delicious hibachi and sushi making it a favorite Asian cuisine restaurant in the Outer Banks. The large, steel grill hibachi tables make for an entertaining communal dining experience. Watch and smell your food prepared by talented chefs who will wow you with unique chopping talents and flaming tricks. Expect highly skilled maneuvers with razor-sharp knives, the striking sounds of salt and pepper shakers clanking together and flying shrimp you can attempt to catch in your mouth. It’s all about good food and fun, great for a family meal or an outing with a group of friends. Hibachi dinner selections are served with soup, salad, hibachi vegetables and fried rice and include chicken, New York strip, shrimp, scallop, filet mignon, vegetable or teriyaki chicken options as well as various combinations.